Community Catalyst Leadership Program applications are open! Click the link to register. Established in 2007, the Community Catalyst Leadership Program (CCLP) asks participants to engage in a journey of personal leadership development and reflection. Each participant is paired with an MIT alumnus/a in a coaching relationship designed to meet each student's personal development goals. 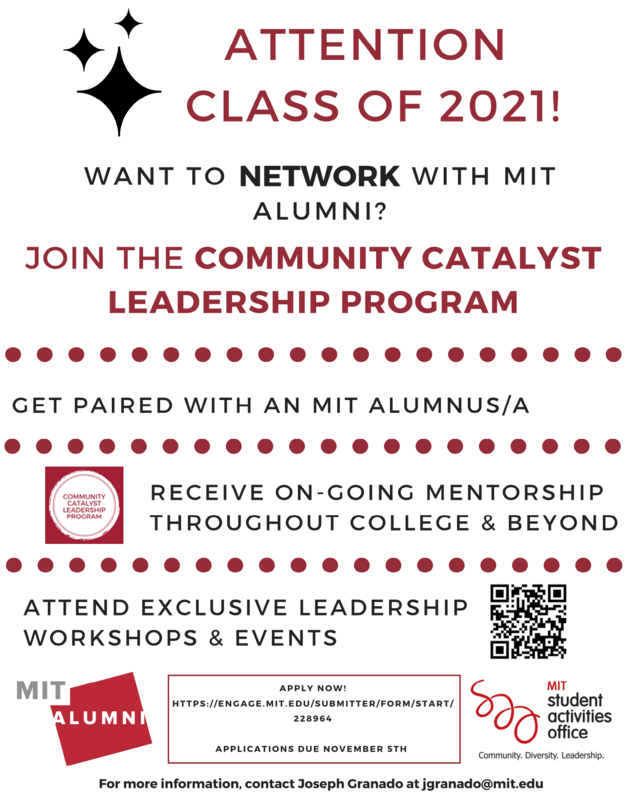 This program is open to students regardless of prior participation in leadership opportunities at MIT. There are four components of the program: one-on-one coaching, educational sessions, leadership planning, and personal reflection.